user warning: UPDATE command denied to user 'icde2011_wp'@'server2.l3s.uni-hannover.de' for table 'dp_cache_filter' query: UPDATE dp_cache_filter SET data = '<h3>\n	General Information</h3>\n<div>\n	&nbsp;</div>\n<div>\n	<font color=\"#000000\" family=\"Arial\" size=\"2\">The following official hotels have been selected for ICDE 2011 participants. Please note that even if bookings with the special conference price are possible till the start of the conference, the reserved contingent is exclusively available till 8 weeks before the conference.Therefore please don&#39;t wait to long with your reservations.</font></div>\n<div>\n	&nbsp;</div>\n<h3>\n	The Conference Hotels (<a href=\"65\">Map</a>)</h3>\n<p>\n	All prices are per room/night, including breakfast and VAT.</p>\n<table border=\"1\" cellpadding=\"1\" cellspacing=\"1\">\n<thead>\n<tr>\n<th scope=\"col\">\n	Hotel Description</th>\n<th scope=\"col\">\n	Picture</th>\n<th scope=\"col\" style=\"width: 65px; text-align: center;\">\n<p>\n	Single<br />\n	Room</p>\n</th>\n<th scope=\"col\" style=\"width: 60px; text-align: center;\">\n<p>\n	Double<br />\n	Room</p>\n</th>\n</tr>\n</thead>\n<tbody>\n<tr>\n<td>\n<p>\n	<a href=\"http://www.congress-hotel-hannover.de/\" target=\"_blank\"><strong>Congress Hotel a. Stadtpark****</strong></a></p>\n<p>\n	This privately run hotel lies in a central but quiet location in a leafy part of town in the middle of the Stadtpark, next to Europe&rsquo;s largest urban forest, the Eilenriede. Enjoy the wellness floor with a pool and a Finnish sauna available to hotel guests free of charge &ndash; and a superb view across the city from its 17th floor vantage point.</p>\n<p>\n	The Hotel is directly located at the conference venue.</p>\n</td>\n<td>\n	<img alt=\"\" src=\"http://www.congress-hotel-hannover.de/gfx/fotos/11_juniorsuite_wohnzimmer.jpg\" style=\"width: 200px; height: 150px;\" /></td>\n<td style=\"text-align: center;\">\n<p>\n	Standard:<br />\n	101,00 &euro;</p>\n<p>\n	Single Room Plus:<br />\n	114,00 &euro;</p>\n</td>\n<td style=\"text-align: center;\">\n	146,00 &euro;</td>\n</tr>\n<tr>\n<td>\n<p>\n	<a href=\"http://www.accorhotels.com/gb/hotel-5390-novotel-hannover/index.shtml\" target=\"_blank\"><strong>Novotel Hannover****</strong></a></p>\n<p>\n	Stay in a central location between the main railway station and the opera house in a luxurious hotel with exclusive furnishings and excellent connections to the Hannover exhibition grounds. Savour the pure relaxation and first class service in the generously equipped and tastefully decorated rooms.</p>\n<p>\n	The conference venue is 2000 m away and can easily be reached by using bus, tram or a nice walk through the Eilenriede.</p>\n<p>\n	<a href=\"http://maps.google.de/maps/ms?f=q&amp;source=s_q&amp;hl=en&amp;geocode=&amp;ie=UTF8&amp;hq=Hotel+Novotel+Hannover,&amp;hnear=Hanover,+Lower+Saxony&amp;msa=0&amp;msid=116049206625267778365.00049206cb322c754a646&amp;ll=52.382882,9.756417&amp;spn=0.021611,0.038195&amp;z=15\" target=\"_blank\">Map and Public Transport to HCC</a></p>\n</td>\n<td>\n	<img alt=\"\" src=\"http://www.accorhotels.com/photos/5390v00.jpg\" style=\"width: 200px; height: 150px;\" /></td>\n<td style=\"text-align: center;\">\n	98,00 &euro;</td>\n<td style=\"text-align: center;\">\n	108,00 &euro;</td>\n</tr>\n<tr>\n<td>\n<p>\n	<a href=\"http://www.accorhotels.com/gb/hotel-3755-suite-novotel-hannover/index.shtml\" target=\"_blank\"><strong>Suitehotel Hannover City***</strong></a></p>\n<p>\n	The Suitehotel Hannover City lies right in the heart of Hannover&rsquo;s city centre, directly adjacent to the main railway station, the opera house, the main shopping area, and only 12 km from Hannover Airport and 9 km from the exhibition grounds. Suitehotel stands for a different kind of hotel &ndash; with multimedia system in every room. Book your 30 square meter suite for a comfortable stay!</p>\n<p>\n	The conference venue is 3000 m away and can easily be reached by using bus or tram.</p>\n<p>\n	<a href=\"http://maps.google.de/maps/ms?hl=en&amp;ie=UTF8&amp;msa=0&amp;msid=116049206625267778365.00049206ff332f497f244&amp;ll=52.378586,9.753413&amp;spn=0.021613,0.038195&amp;z=15\" target=\"_blank\">Map and Public Transport to HCC</a></p>\n</td>\n<td>\n	<img alt=\"\" src=\"http://www.accorhotels.com/photos/3755v00.jpg\" style=\"width: 200px; height: 150px;\" /></td>\n<td style=\"text-align: center;\">\n	90,00 &euro;</td>\n<td style=\"text-align: center;\">\n	100,00 &euro;</td>\n</tr>\n<tr>\n<td>\n<p>\n	<strong><a href=\"http://www.cityhotelhannover.de/\" target=\"_blank\">City Hotel Hannover***</a></strong></p>\n<p>\n	This 3‐star hotel in Hanover&rsquo;s city centre offers comfortable rooms, a free breakfast, and free use of the local public transport. The main railway station is an 8‐minute walk away. All of the well‐equipped rooms at the City Hotel Hannover include satellite TV channels and Wi‐Fi internet via hotspot (fees apply). Some rooms have a balcony.</p>\n<p>\n	<a href=\"http://maps.google.de/maps/ms?hl=en&amp;ie=UTF8&amp;msa=0&amp;msid=116049206625267778365.0004920719f47920f538f&amp;z=14\" target=\"_blank\">Map and Public Transport to HCC</a></p>\n</td>\n<td>\n	<img alt=\"\" src=\"http://www.cityhotelhannover.de/images/dscn0128_400.jpg\" style=\"width: 200px; height: 150px;\" /></td>\n<td style=\"text-align: center;\">\n	75,00 &euro;</td>\n<td style=\"text-align: center;\">\n	95,00 &euro;</td>\n</tr>\n</tbody>\n</table>\n<p>\n	You can find the hotels also on the <a href=\"65\">map</a>.</p>\n<h3>\n	&nbsp;</h3>\n<h3>\n	Hotel Booking</h3>\n<div>\n	<font color=\"#000000\" family=\"Arial\" size=\"3\"><font color=\"#000000\" family=\"Arial\" size=\"2\">All hotel bookings for ICDE 2011 will be handled by </font></font></div>\n<div>\n	&nbsp;</div>\n<div class=\"rteindent1\">\n	Hannover Marketing &amp; Tourismus GmbH (HMTG)<br />\n	Accommodation Service<br />\n	Prinzenstra&szlig;e 6<br />\n	D‐30159 Hanover</div>\n<div class=\"rteindent1\">\n	Phone +49 511 123 45‐555</div>\n<div class=\"rteindent1\">\n	Fax +49 511 123 45‐556</div>\n<div class=\"rteindent1\">\n	e‐mail: <a href=\"mailto:hotels@hannover-tourismus.de?subject=ICDE 2011 Hotel Reservation\">hotels@hannover-tourismus.de</a></div>\n<p>\n	&nbsp;</p>\n<p>\n	For booking the hotels please use the following form. Please fill in the form legibly and send it via fax to +49 511 123 45‐556 or mail it to the <a href=\"mailto:hotels@hannover-tourismus.de?subject=ICDE 2011 Hotel Reservation\">HMTG</a> . If you have any questions, please call HMTG under +49 511 123 45‐555 or send an e‐mail to <a href=\"mailto:hotels@hannover-tourismus.de?subject=ICDE 2011 Hotel Rerservation\">hotels@hannover-tourismus.de</a>.</p>\n<ul>\n<li>\n	<a href=\"/sites/default/files/ICDE2011_Hotel_booking_eng.pdf\" target=\"_blank\">Hotel Reservation Form (english)</a></li>\n<li>\n	<a href=\"/sites/default/files/ICDE2011_Hotel_booking_deu.pdf\" target=\"_blank\">Hotel Reservation Form (german)</a></li>\n</ul>\n<p>\n	<strong>Important !! Please send the order form back as fast as possible.</strong></p>\n<h3>\n	&nbsp;</h3>\n<h3>\n	Alterations / cancellations / no‐shows:</h3>\n<p>\n	Alteration(s) = 5.‐ EUR per room/night, cancellation(s) = 20.‐ EUR per room/night, no‐show(s) = 25.‐ EUR per room/night.</p>\n<p>\n	<strong>Payment terms</strong>: The extra charges are levied when the reservation is cancelled or altered or in case of no‐show, regardless of how the accommodation contract has been arranged. They immediately fall due for payment and are to be paid at the latest within 10 days. The accommodation expenses are to be paid directly in the hotel. Concerning the cancellation expenses, the contract terms of the booked hotel are valid. Charges for alterations, cancellcations and no‐shows will be debited from your credit card.</p>\n<p>\n	<strong>Conditions of mediation:</strong> The hotel rooms are assigned by the HMTG.<br />\n	The HMTG is neither the tour operator according to law &sect;&sect; 651a ff BGB nor the partner of the travel or accommodation contract. The latter contract is concluded with the hotels. The HMTG is only liable for its mediation activities. The liability is confined to intent and acts of gross negligence. Hanover is the place of jurisdiction.</p>\n', created = 1433152004, expire = 1433238404, headers = '', serialized = 0 WHERE cid = '2:9681ead0b9888bb755d2ba6ddb490f84' in /var/www/other/ICDE2011/includes/cache.inc on line 109. 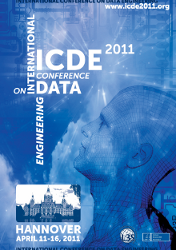 The following official hotels have been selected for ICDE 2011 participants. Please note that even if bookings with the special conference price are possible till the start of the conference, the reserved contingent is exclusively available till 8 weeks before the conference.Therefore please don't wait to long with your reservations. All prices are per room/night, including breakfast and VAT. This privately run hotel lies in a central but quiet location in a leafy part of town in the middle of the Stadtpark, next to Europe’s largest urban forest, the Eilenriede. Enjoy the wellness floor with a pool and a Finnish sauna available to hotel guests free of charge – and a superb view across the city from its 17th floor vantage point. The Hotel is directly located at the conference venue. Stay in a central location between the main railway station and the opera house in a luxurious hotel with exclusive furnishings and excellent connections to the Hannover exhibition grounds. Savour the pure relaxation and first class service in the generously equipped and tastefully decorated rooms. The conference venue is 2000 m away and can easily be reached by using bus, tram or a nice walk through the Eilenriede. The Suitehotel Hannover City lies right in the heart of Hannover’s city centre, directly adjacent to the main railway station, the opera house, the main shopping area, and only 12 km from Hannover Airport and 9 km from the exhibition grounds. Suitehotel stands for a different kind of hotel – with multimedia system in every room. Book your 30 square meter suite for a comfortable stay! The conference venue is 3000 m away and can easily be reached by using bus or tram. This 3‐star hotel in Hanover’s city centre offers comfortable rooms, a free breakfast, and free use of the local public transport. The main railway station is an 8‐minute walk away. All of the well‐equipped rooms at the City Hotel Hannover include satellite TV channels and Wi‐Fi internet via hotspot (fees apply). Some rooms have a balcony. You can find the hotels also on the map. For booking the hotels please use the following form. Please fill in the form legibly and send it via fax to +49 511 123 45‐556 or mail it to the HMTG . If you have any questions, please call HMTG under +49 511 123 45‐555 or send an e‐mail to hotels@hannover-tourismus.de. Important !! Please send the order form back as fast as possible. Alteration(s) = 5.‐ EUR per room/night, cancellation(s) = 20.‐ EUR per room/night, no‐show(s) = 25.‐ EUR per room/night. Payment terms: The extra charges are levied when the reservation is cancelled or altered or in case of no‐show, regardless of how the accommodation contract has been arranged. They immediately fall due for payment and are to be paid at the latest within 10 days. The accommodation expenses are to be paid directly in the hotel. Concerning the cancellation expenses, the contract terms of the booked hotel are valid. Charges for alterations, cancellcations and no‐shows will be debited from your credit card. Conditions of mediation: The hotel rooms are assigned by the HMTG. The HMTG is neither the tour operator according to law §§ 651a ff BGB nor the partner of the travel or accommodation contract. The latter contract is concluded with the hotels. The HMTG is only liable for its mediation activities. The liability is confined to intent and acts of gross negligence. Hanover is the place of jurisdiction.